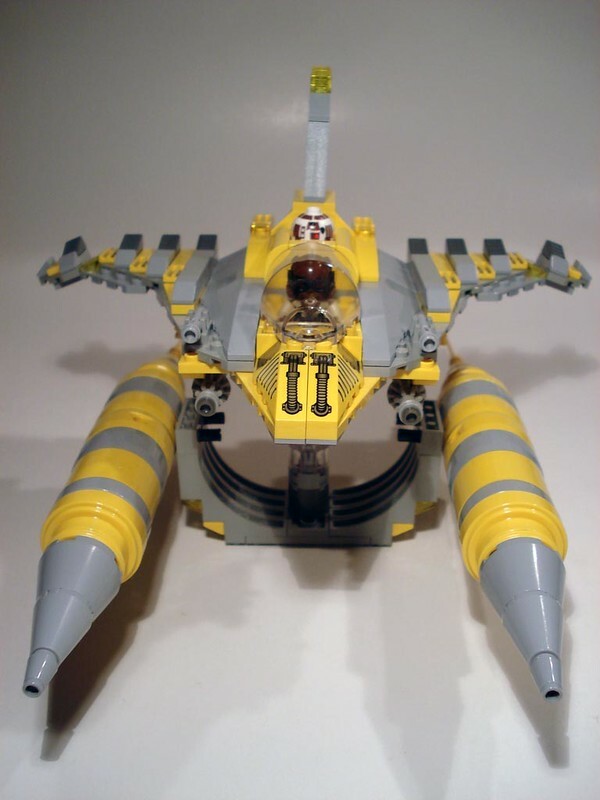 Was deconstructing the 7660 Naboo N1 Starfighter, when I came across the Novvember Vic Viper that gave me the idea to build this! More detailed pics available here. This is really cool. The hyperdrive thing kind of threw me off at first, but I like how you worked it into the vic viper design. Although I don't know how much I can say with my limited knowledge of vic vipers. Impressive shape and powerness!! This one is very nasty, that could be even surprising from the Naboo's ingeneers... But who knows? Quoting JS Can Is the inverted arch under the ship part of the ship or a stand? Another great MOC made by you! Is the inverted arch under the ship part of the ship or a stand? That's a smooth ride! Well done!